This week I was introduced to the concept of busy bags (and quiet books and file folder games, but that's for another day) and I have to say, WOW! Where were these little packages of fun when my girls were toddlers? Originally I was looking for some ideas for easy to make games to include in Angels for the forgotten's crisis bags. The more I looked, the more I fell in love with these little fun educational goodies and figured I'd try my hand at designing one. 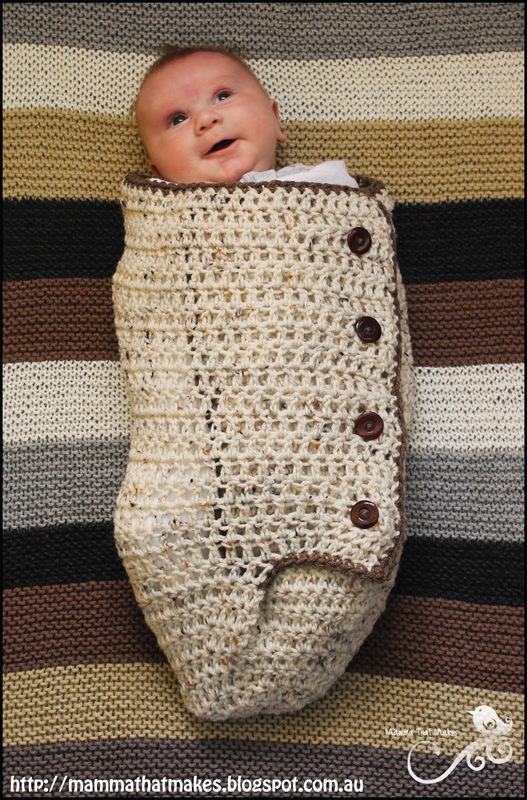 A bunch of my mummy friends really loved it and asked if I could make more so I thought well, why not! 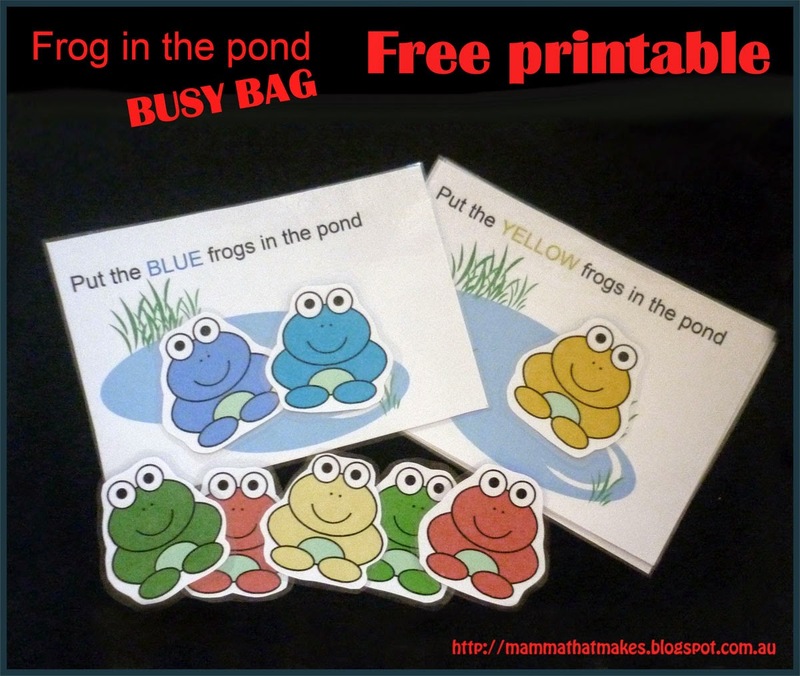 So hopefully these busy bag ideas and printables will become a regular feature here on the mamma blog. I hope you and your little ones enjoy them as much as the little ones in my life do. My first busy bag idea was for colour matching. Frogs in the pond gives your little one the opportunity to match the colourful frogs to the right pond. 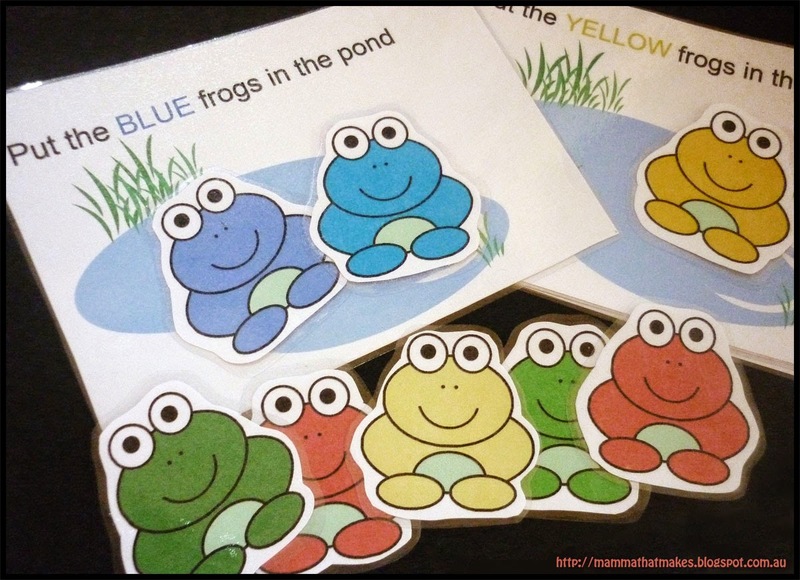 This activity is good for colour recognition, hand/eye co-ordination and even math skills (you can count the frogs all together, or ask, how many frogs are there if we add the blue ones and the red ones?) I've laminated my printouts to make them last. Anyway, enough chatter from me, here is the link to the pdf files. Please let me know what you think and if your little people enjoyed this game. Today I have another hair accessory tutorial for you all. 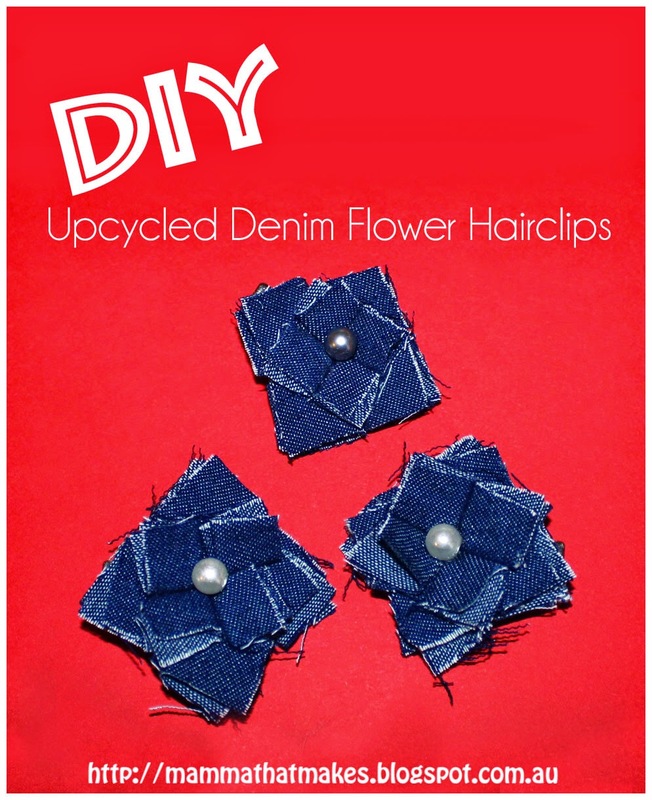 A fun little denim flower that can be attached to a clip or headband or any number of other uses. A few weeks ago I had a bit of an Autumn clean out and found in a box a full length denim skirt. We've been in the new house for just past 5 months now, so it was pretty clear this wasn't a skirt I was going to wear any time soon, if at all. But it did have a LOT of material, lovely dark denim material. My mission? Use it all up! I love using denim for hair accessories. It is sturdy, looks classic and the fray gives it a shabby touch. Of course you could make these flowers with any other fabric you like. I can't wait to test them out with some vintage upholstery fabric I have. As you can see my squares are not exactly square. It doesn't matter, unless of course it is going to bug you and in that case go ahead and square them up. Take one of the larger squares and fold it in half. Place some glue in the centre of the rectangle and fold in half again. Keep your finger on it for a few seconds to ensure the glue will hold. Place some glue on the back of the square and glue it to the circle. Repeat the process with the smaller squares, positioning them over the edges of the large ones. Glue a pearl bead into the centre and attach the clip to the back. Go forth and make oodles! Today's post is another new thing for me. 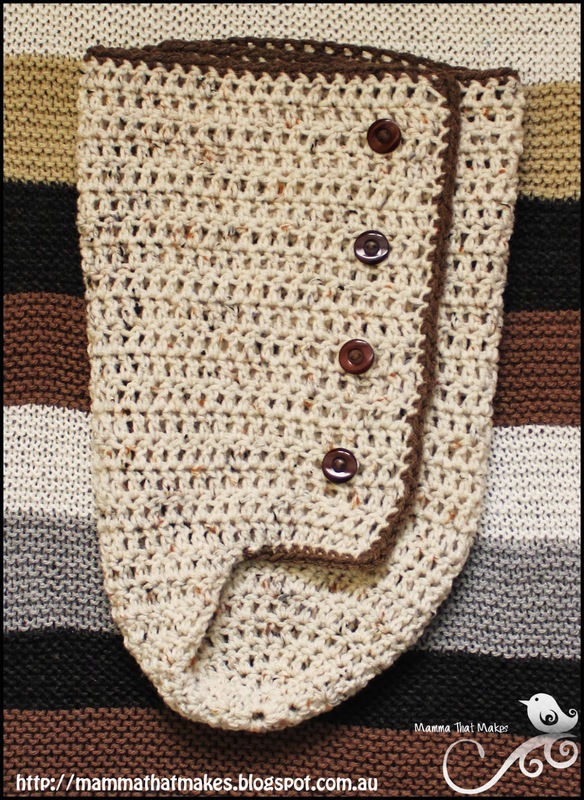 Crocheted earrings! I've seen some of these on my friends and they look so wonderful and dainty and pretty. I knew at some point I needed to design some. 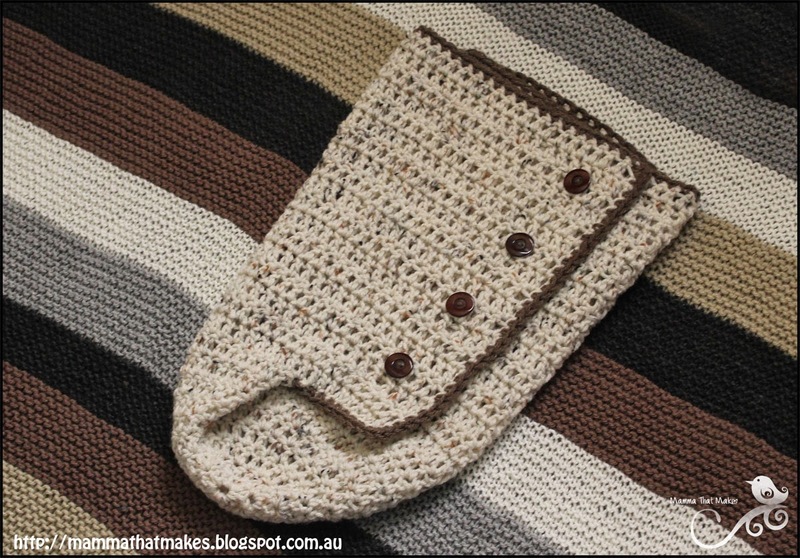 I love that they look WOW but are really easy to make, which means you can whip up a bunch of colours to suit all sorts of outfits in no time at all. I'll be making a bunch for Angels for the forgotten. Picot: ch3, slst into the first ch, picot made. 1. Ch4, join to form a loop. 4. *Ch5, slst in the next ch2 space*, repeat around, ending with a slst in the last ch2. End off colour. To construct earrings: Connect the jump-ring to the earring hook, then connect the jump-ring to a picot on the earring.